Cimex Lectularius. More commonly known, of course, as bed bugs. We hear a lot about bed bugs – and as the title of the blog points out, we even have a charming little saying that we use for children before they go to bed. But is it charming? Bed bugs are a pesky little parasite, and whilst they aren’t intrinsically dangerous, they can cause stress and anxiety in a place where you would like to feel most comfortable. Bed is, after all, for sleeping, and not for giving blood. That’s right. What a lot of people don’t know about bed bugs is that they feed exclusively on blood, and whilst they aren’t entirely fussy about what kind of blood they get, they do seem to have a hankering for human blood. So how did these little blood suckers get their name? 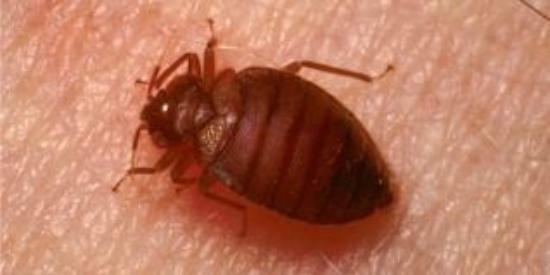 Well, the preferred eating habits of the common bed bug leads them to feed at night and with a whole lot of blood just lying around in a nice warm bed (their favoured environment) it is hardly surprising that they often choose to dwell in or around beds. Spotting bed bugs is notoriously hard, because of their nocturnal behaviour and the virtually microscopic evidence that they leave behind for you, but if you know what you are looking for, it makes the whole ordeal a lot simpler. Once you know what you need to spot, the signs are fairly obvious. If you’re reading this, you’re probably already concerned about a possible bed bug infestation, possibly because of itching. Many people mistake itching for mosquito bites, but there are a couple of ways to differentiate the two bugs. Mosquitos tend to bite in indiscernible patterns, and their bites often come up red quickly with a dark red mark at the centre. Bed bugs, however, will often bite you in a line, oftentimes along a vein. And whilst they may itch almost immediately, it can sometimes take a few days for any visual evidence to show up on your skin, and when it does it is unlikely there will be a dark spot at the centre of the mark. Even if you have found the marks of a bed bug on your skin, that isn’t always to say that there is an infestation – infestations will usually leave more evidence, which, to those who know what they are looking for, will be obvious. Contrary to popular belief, bed bugs aren’t a sign of an unclean house – they show no preference for the tidiness of a home but they can often make your bedroom a less pleasant place to be – bed bugs can often leave behind an unpleasant odour and dark stains on your sheets and mattress, these can either be signs of faeces or spilt blood from a bite. The final and most obvious sign of a bed bug infestation is seeing a bed bug itself – bed bugs are often a brown-y colour and oval in shape. They are quite small but easily visible to the naked eye. Even once you’ve identified the problem, it can sometimes be quite tough figuring out what to do about it. Bed bugs won’t go away with a simple clean – as we mentioned before, they don’t mind cleanliness. The NHS sensibly suggests that whilst you could potentially deal with it yourself, people concerned about a potential infestation should contact a professional pest agency for thorough results. This leaves you in the knowledge that the problem has been properly dealt with. If you become aware of an infestation, it is important you do something about it swiftly, because bed bugs can produce nearly 250 offspring in a month and the situation will only get worse. Becoming infested with bed bugs is sometimes inevitable – there isn’t necessarily a good reason why you may or may not become infested with them, but it is always advisable to regularly check your bed sheets and surrounding areas for signs of the little bugs to prevent any extra household stress. Tony Bond is the Founder of one of the counties most trusted pest control companies – Essex Pest Control.